Become an Arabic chef, and taste the splendors and richness of the Arabic cuisine! Discover more than 170, step-by-step recipes each with a ready made photo. 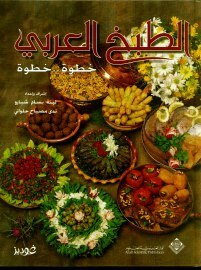 The recipes have been prepared in cooperation with the famous Lebanese caterers "Goodies." salads, appetizers, pastries, soups, rice, grains, vegetables, chicken, meat, fish, pickles, and beverages. Plus detailed basics, glossary, and easy to use help. More than 500 photographs providing the user with all the information he or she needs. lessons of preparation methods.